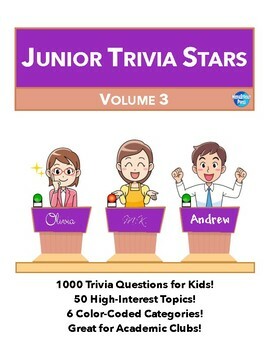 1000 More Trivia Questions for Kids in 50 High-Interest Topics split across 6 Color-Coded Categories! 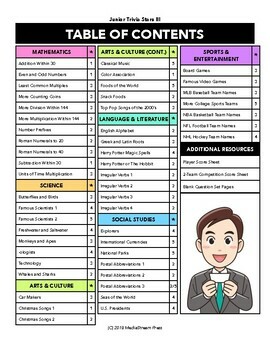 Great for Academic Clubs, Gifted and Talented Education, or Fun Review in the Classroom! Also comes with Blank Question Set Sheets and Player & Team Score Sheets! 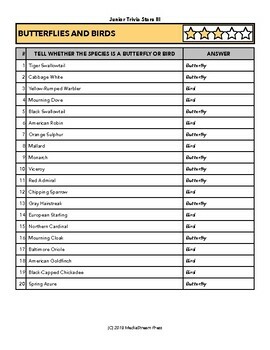 Each question set is rated from 1-5 stars according to difficulty, helping you to choose the best questions for your kids.